B&B Furio Camillo v Řím, Itálie: Zarezervujte nyní! 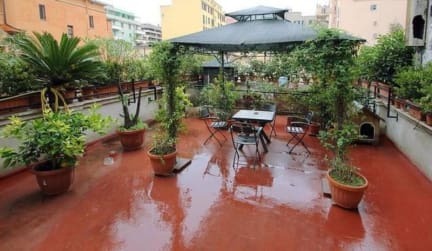 The entire area served by the subway that leads to about 20 minutes to St. Peter, to S. Giovanni (5 minutes), Termini station and Piazza di Spagna. Furio Camillo night buses connect with the center of the city. Many recreations nearby: cinema multiplexes, pubs, restaurants, saunas and gyms, theaters. Cancellation policy 3 days; If you cancel too late or if you don't show up we will charge your credit card the price of the first night.